R - LOCKED R - Clamping Elements - Safety Products - Products - ACE Controls Inc. Direct clamping on the shaft: rotation motions are prevented by the ACE models LOCKED R. Their clamping elements are available for shaft diameters of 50 mm to 340 mm (1.97 to 13.38 in) and ensure maximum holding forces. The clamp is immediately applied by the diaphragm and spring-plate system when pressure is lost. Pneumatic quick-switch valves reduce the reaction times. The costs are low in comparison with hydraulic clamping systems. Compact and easy to install, they still acheive excellent performance. 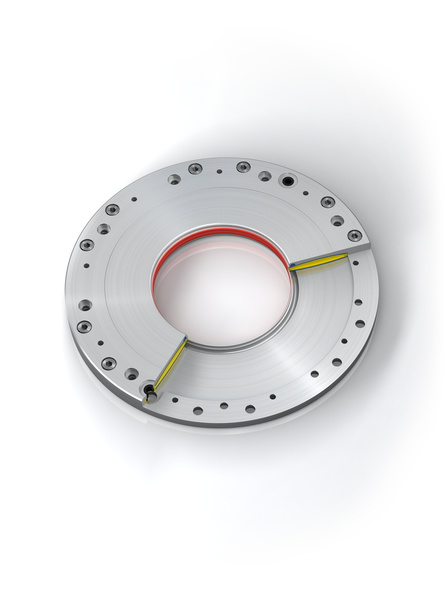 Special versions for YRT bearings, as well as active clamping elements, are available. 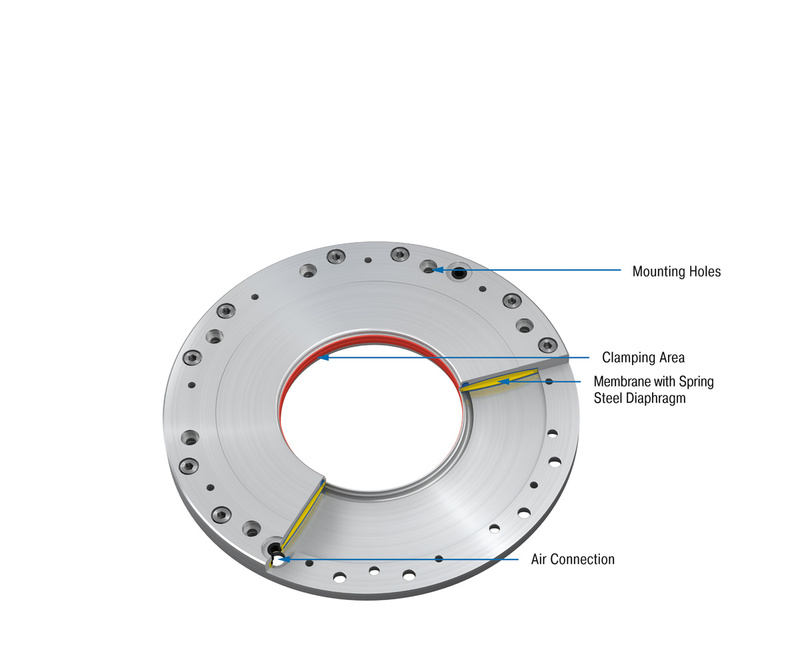 ACE recommends the use of the optional shaft flange as wear protection. The clamping force can be increased considerably by the use of the additional air function. If requested installation drawings of the respective types are provided. Special designs and customized solutions e.g. YRT bearing up to Ø 18.11 in and shaft flange available on request.